Below is a copy of Judge Thrash’s Order in Bel v. Foster, Civil Action File No. 1:13-Cv-405-Twt, in the United States District Court For The Northern District Of Georgia (Atlanta). The Order contains a good discussion of the seven factor likelihood of confusion analysis adopted by the Eleventh Circuit Court of Appeals. The Court also has a thorough discussion of damages available to the trademark owner for trademark infringement, as well as injunctive relief available. This is a trademark infringement action concerning the late Jack Gibson’s alias “Jack the Rapper.” It is before the Court on the Plaintiffs’ Motion for Summary Judgment against the Defendant Billy Darren Foster [Doc. 38]. For the reasons set forth below, the Plaintiffs’ Motion is GRANTED in part and DENIED in part. number 85787701, filed November 27, 2012. It is undisputed that Foster used the “Jack the Rapper” mark when promoting these Conventions. (Id. ¶ 24.) The mark was also used to promote and sell products and services associated with the Conventions. (Id. ¶ 27.) Aside from the Settlement Agreement which covered the Houston Convention, the Plaintiffs never gave Foster permission to use the “Jack the Rapper” mark. (Id. ¶¶ 28, 30.) Foster did not receive permission from any other source. (Id. ¶ 31.) The Plaintiffs asserted claims for trademark infringement under 15 U.S.C. § 1125(a), trademark dilution under 15 U.S.C. § 1125(c), trademark infringement under Georgia law, unfair competition under Georgia law, and infringement of the right of publicity under Georgia law. The Plaintiffs now move for summary judgment against the Defendant Foster. Foster did not file a response. Summary judgment is appropriate only when the pleadings, depositions, and affidavits submitted by the parties show that no genuine issue of material fact exists and that the movant is entitled to judgment as a matter of law. FED. R. CIV. P. 56(c). The court should view the evidence and any inferences that may be drawn in the light most favorable to the nonmovant. Adickes v. S.H. Kress & Co., 398 U.S. 144, 158-59 (1970). The party seeking summary judgment must first identify grounds that show the absence of a genuine issue of material fact. Celotex Corp. v. Catrett, 477 U.S. 317, 323-24 (1986). The burden then shifts to the nonmovant, who must go beyond the pleadings and present affirmative evidence to show that a genuine issue of material fact does exist. Anderson v. Liberty Lobby, Inc., 477 U.S. 242, 257 (1986). "A mere 'scintilla' of evidence supporting the opposing party's position will not suffice; there must be a sufficient showing that the jury could reasonably find for that party." Walker v. Darby, 911 F.2d 1573, 1577 (11th Cir.1990). The Court “cannot base the entry of summary judgment on the mere fact that the motion was unopposed, but, rather, must consider the merits of the motion.” United States v. One Piece of Real Prop. Located at 5800 SW 74th Ave., Miami, Fla., 363 F.3d 1099, 1101 (11th Cir. 2004). However, the Court “need not sua sponte review all of the evidentiary materials on file at the time the motion is granted, but must ensure that the motion itself is supported by evidentiary materials.” (1 Id). Requests for admission were sent to Foster. He did not reply. “A matter is admitted unless, within 30 days after being served, the party to whom the request is directed serves on the requesting party a written answer or objection addressed to the matter and signed by the party or its attorney.” FED. R. CIV. P. 36(a)(3). law on their section 1125(a) claim. Section 43(a) of the Lanham Act creates a federal cause of action for the infringement of trademarks, regardless of registration status. 15 U.S.C. § 1125(a). “To establish a prima facie case of trademark infringement under § 43(a), a plaintiff must show (1) that it had trademark rights in the mark or name at issue and (2) that the other party had adopted a mark or name that was the same, or confusingly similar to its mark, such that consumers were likely to confuse the two.” Tana v. Dantanna’s, 611 F.3d 767, 773 (11th Cir. 2010) (internal quotation marks omitted). (B) in commercial advertising or promotion, misrepresents the nature, characteristics, qualities, or geographic origin of his or her or another person's goods, services, or commercial activities, shall be liable in a civil action by any person who believes that he or she is or is likely to be damaged by such act. 15 U.S.C. § 1125(a). Here, the Plaintiffs had a proprietary right in the mark “Jack the Rapper” as used in the market for radio and music conventions. “[A] plaintiff need not have a registered mark.” Id. “However, only those marks that are capable of distinguishing the owner’s goods from those of others, i.e., that are sufficiently ‘distinctive,’ are eligible for federal registration or protection as common law marks under the Lanham Act.” Id. There are four categories of distinctiveness: “(1) generic--marks that suggest the basic nature of the product or service; (2) descriptive--marks that identify the characteristic or quality of a product or service; (3) suggestive--marks that suggest characteristics of the product or service and require an effort of the imagination by the consumer in order to be understood as descriptive; and (4) arbitrary or fanciful—marks that bear no relationship to the product or service, and the strongest category of trademarks.” Id. at 774. In this context, “Jack the Rapper” is at minimum a suggestive mark. It does not reference the particular service in question: hosting radio and music conventions. By using the word “rapper” it only alludes to the nature of the conventions. It is entitled to trademark protection. See id. (“Suggestive . . . marks are deemed ‘inherently distinctive’ because ‘their intrinsic nature serves to identify a particular source of a product’ and are generally entitled to trademark protection.”). “In evaluating whether there is a likelihood of confusion between two marks, [the Court] applies a multifactor test, evaluating the following seven factors: (1) strength of the mark alleged to have been infringed; (2) similarity of the infringed and infringing marks; (3) similarity between the goods and service offered under the two marks; (4) similarity of the actual sales methods used by the holders of the marks, such as their sales outlets and customer base; (5) similarity of advertising methods; (6) intent of the alleged infringer to misappropriate the proprietor’s good will; and (7) the existence and extent of actual confusion in the consuming public.” Id. at 774-75. (internal quotation marks omitted). As noted, the mark is “inherently distinctive” because it is only suggestive of the service. “The . . . more distinctive a trademark . . . the greater the likelihood of confusion and the greater the scope of protection afforded it.” Welding Services, 509 F.3d at 1361. The second factor also favors the Plaintiffs. Each Convention was given a title that included the protected mark: “The New Jack the Rapper Convention.” (Pls.’ Statement of Facts ¶¶ 9, 14, 23.) It is true that this includes additional words aside from “Jack the Rapper.” However, whether “an addition is sufficient to prevent confusion in a particular instance depends upon the strength of the main part of the mark and the distinctiveness of the mark and the distinctiveness of the additional feature.” Safeway Stores, Inc. v. Safeway Discount Drugs, Inc., 675 F.2d 1160, 1166 (11th Cir. 1982) (internal quotation marks omitted). Here, of course, the mark “Jack the Rapper” is not only distinctive, but it was the focal point of the Conventions’ titles. Third, the services offered by Foster and the other Defendants were similar to those offered by Jack Gibson himself. They all hosted conventions for radio and music artists. The fourth and fifth factors also favor the Plaintiffs. Foster targeted the same subsection of the music industry that Jack Gibson had targeted for his conventions, and Foster advertised in the same major market (Atlanta, Georgia). (Pls.’ Mot. for Summ. J., at 11; Bell Aff. ¶ 7.) The sixth factor favors the Plaintiffs as well. Foster intended to misappropriate “Jack the Rapper’s” goodwill. This inference may be drawn from his use of the highly distinctive mark itself. In addition, Foster contacted the Plaintiff Bell to express his interest in putting together a tribute to Jack Gibson. (Pls.’ Statement of Facts ¶ 10.) Thus, Foster certainly used the mark “Jack the Rapper” intending to capitalize on the popularity of Jack Gibson’s radio personality. The seventh factor, however, does not favor the Plaintiffs. They have not supplied any evidence of actual confusion. Nevertheless, the remaining factors are sufficient to show that there is a likelihood of confusion. There is no evidence indicating that they would have made $25,000. There is also no argument for why they were prohibited from holding this conference and no evidence indicating that -- due to Foster's infringement -- they would have made less money if they had held it. The Plaintiffs also allege that they lost $10,000 from the "loss of value in licensing Plaintiffs' trademark to persons other than Defendants for other Jack the Rapper events." (Pls.’ Mot. for Summ. J., at 22.) This suffers from the same evidentiary deficiencies. The Plaintiffs further allege that they are entitled to $1,000 pursuant to the Settlement Agreement. This may be true, but these are not damages that they are entitled to under section 1117(a). (David Lilenfeld: This is the detailed Court discussion about injunctive and equitable relief in this trademark infringement action) The Plaintiffs also request equitable relief. The Court may “grant injunctions, according to the principles of equity and upon such terms as the court may deem reasonable . . . to prevent a violation under subsection (a).” 15 U.S.C. § 1116(a). Here, the Plaintiffs are entitled to injunctive relief but not in the form they suggest. They request that the Court issue an injunction with six vague, overly broad provisions. For example, they request that Foster be enjoined from “using in any manner any of the Plaintiffs’ Marks, including the Jack the Rapper Mark, or any other mark which so resembles said trademark as to be likely to cause confusion, deception, or mistake, on or in connection with . . . sale of any goods or services not emanating from Plaintiffs,” and that he be enjoined from “otherwise competing unfairly with Plaintiffs in any manner.” (Pls.’ Mot. for Summ. J., at 19-20.) "Every order granting an injunction . . . must . . . (B) state its terms specifically; and (C) describe in reasonable detail . . . the act or acts restrained or required." FED. R. CIV. P. 65(d)(1). "A court order should be phrased in terms of objective actions, not legal conclusions." S.E.C. v. Goble, 682 F.3d 934, 950 (11th Cir. 2012) (internal quotation marks omitted). The specificity requirement is "designed to prevent uncertainty and confusion on the part of those faced with injunctive orders, and to avoid the possible founding of a contempt citation on a decree too vague to be understood." Schmidt v. Lessard, 414 U.S. 473, 476 (1974). The Plaintiffs’ requested wording is too vague. See John H. Harland Co. v. Clarke Checks, Inc., 711 F.2d 966, 985 (11th Cir. 1983) (“[T]he injunction should clearly let defendant know what he is ordered to do or not to do. . . .[a]n injunction which merely forbids a defendant from performing ‘acts of unfair competition,’ or from “infringing on plaintiff's trademarks and trade secrets” adds nothing to what the law already requires.”). The Plaintiffs also do not specify the other marks that they believe are protected aside from “Jack the Rapper.” The Court will limit the injunction to the specified infringing acts. Thus, the injunction should bar Foster from using the “Jack the Rapper” mark, or causing the “Jack the Rapper” mark to be used, in connection with conventions catering to the radio and music industries, as well as associated services and merchandise. The Plaintiffs also seek attorneys' fees. "The court in exceptional cases may award reasonable attorney fees to the prevailing party." 15 U.S.C. § 1117(a). "While Congress has not further defined 'exceptional,' the legislative history of the Act suggests that exceptional cases are those where the infringing party acts in a 'malicious,' 'fraudulent,' 'deliberate,' or 'willful' manner." Burger King Corp. v. Pilgrim's Pride Corp., 15 F.3d 166, 168 (11th Cir. 1994) (citing H.R. Rep. No. 93-524, 93rd Cong., 1st Sess. (1974), reprinted in 1974 U.S.C.C.A.N. 7132, 7133). Here, attorneys’ fees are appropriate. Foster used the protected mark "Jack the Rapper" knowing that it was the distinctive alias of Jack Gibson. That is precisely why he used it. The Plaintiffs are entitled to attorneys' fees in the amount of $11,994.86. (Pls.' Mot. for Summ. J., at 23.) The Plaintiffs also ask for punitive damages. However, connection with the infringing conventions, the injunction will prohibit further sale of those goods and services by Foster. Other courts have also issued injunctions requiring an infringer to withdraw a trademark application. See, e.g., A.V. By Versace, Inc. v. Gianni Versace, S.p.A., 96 CIV.9721-PKL-THK, 2004 WL 691243 (S.D.N.Y. Mar. 31, 2004) (The defendant “was obligated under the preliminary injunction to withdraw all such applications and registrations made or granted throughout the world . . ..”); Simon Prop. Grp., L.P. v. mySimon, Inc., IP 99-1195-C H/G, 2001 WL 66408 (S.D. Ind. Jan. 24, 2001); A.C. Legg Packing Co., Inc. v. Olde Plantation Spice Co., Inc., 61 F. Supp. 2d 426 (D. Md. 1999). “Punitive damages are not available under the Lanham Act.” Rain Bird Corp. v. Taylor, 665 F. Supp. 2d 1258, 1272 (N.D. Fla. 2009); see also Huddle House, Inc. v. Two Views, Inc., 1:12-CV-03239-RWS, 2013 WL 1390611, at *5 (N.D. Ga. Apr. 4, 2013); Babbit Electronics, Inc. v. Dynascan Corp., 38 F.3d 1161, 1183 (11th Cir. 1994) ("Such an award is discretionary, but it may not be punitive, and must be based on a showing of actual harm."). A plaintiff is entitled to injunctive relief if (1) the plaintiff owns a distinctive famous mark, (2) another person began using a mark after the plaintiff’s mark became famous, and (3) the person’s mark is likely to cause “dilution by blurring” or “dilution by tarnishment” of the plaintiff’s famous mark. See 15 U.S.C. § 1125(c)(1). A plaintiff does not need to show actual or likely confusion, competition, or actual economic injury for this claim. See id. Here, “Jack the Rapper” is a famous mark. “[A] mark is famous if it is widely recognized by the general consuming public of the United States as a designation of "[T]he owner of a famous mark that is distinctive, inherently or through acquired distinctiveness, shall be entitled to an injunction against another person who, at any time after the owner's mark has become famous, commences use of a mark or trade name in commerce that is likely to cause dilution by blurring . . . of the famous mark, regardless of the presence or absence of actual or likely confusion, of competition, or of actual economic injury. "15 U.S.C. § 1125(c)(1). Source of the goods or services of the mark’s owner.” 15 U.S.C. § 1125(c)(2)(A). The Court may look to factors such as: (1) “[t]he duration, extent, and geographic reach of advertising and publicity of the mark, whether advertised or publicized by the owner or third parties”; (2) “[t]he amount, volume, and geographic extent of sales of goods or services offered under the mark”; (3) “[t]he extent of actual recognition of the mark”; and (4) [w]hether the mark was registered . . ..” 15 U.S.C. § 1125(c)(2)(A)(i)-(iv). Although the “Jack the Rapper” mark is not registered, multiple factors suggest that it is famous. Jack Gibson began using this alias in the late 1940s, and it has been promoted throughout the world ever since. (Pls.’ Statement of Facts ¶¶ 1-2, 4.) Jack Gibson used this alias in connection with his radio programming as well as the conventions he hosted for those in the radio and music industries. (Id. ¶¶ 5.) This mark is widely recognized. (Id. ¶¶ 4, 6, 10.) Further, there is no dispute that the Conventions hosted by the Defendants were held after the “Jack the Rapper” mark became famous. To satisfy the third prong, the Plaintiffs argue that the title “The New Jack the Rapper Convention” “dilutes by blurring” the “Jack the Rapper” mark. “‘[D]ilution by blurring’ is association arising from the similarity between a mark or trade name and a famous mark that impairs the distinctiveness of the famous mark.” 15 U.S.C. § 1125(c)(2)(B). The Court must consider factors similar to those assessed in the “likelihood of confusion” analysis for the section 1125(a) claim. The Court need not reiterate the same conclusions. The Plaintiffs have established that Foster’s use of “Jack the Rapper” in naming the Conventions impairs the distinctiveness of the mark. "Violation of the right of publicity is a state tort." Toffoloni v. LFP Publ'g Grp., LLC, 572 F.3d 1201, 1205 (11th Cir. 2009). "[T]he appropriation of another's name and likeness . . . without consent and for the financial gain of the appropriator is a tort in Georgia, whether the person whose name and likeness is used is a private citizen, entertainer, or . . . a public figure who is not a public official." Martin Luther King, Jr., Ctr. for Soc. Change, Inc. v. American Heritage Products, Inc., 250 Ga. 135, 143 (1982). "[T]he right of publicity survives the death of its owner and is inheritable and “In determining whether a mark or trade name is likely to cause dilution by blurring, the court may consider all relevant factors, including the following: (i) The degree of similarity between the mark or trade name and the famous mark. (ii) The degree of inherent or acquired distinctiveness of the famous mark. (iii) The extent to which the owner of the famous mark is engaging in substantially exclusive use of the mark. (iv) The degree of recognition of the famous mark. (v) Whether the user of the mark or trade name intended to create an association with the famous mark. (vi) Any actual association between the mark or trade name and the famous mark.” 15 U.S.C. § 1125(c)(2)(B). (David Lilenfeld: here is the normal discussion of injunctive relief in a trademark infringement case): In addition to injunctive relief, the Plaintiffs also request damages identical to those requested pursuant to their section 1125(a) claim. The Court addressed these damages in the section 1125(a) analysis. "[T]he measure of damages to a public figure for violation of his or her right of publicity is the value of the appropriation to the user." Id. at 143. Here, the Plaintiffs have established each element against Foster. He appropriated the alias “Jack the Rapper,” which is known to be associated with Jack Gibson. (Pls.’ Statement of Facts ¶¶ 9, 13-14, 20, 23-27.) He did not have permission from any party possessing the right to Jack Gibson’s publicity. (Id. ¶¶ 29, 30-31.) He used the alias to promote the Conventions for financial gain. (Id. ¶ 32.) Consequently, Foster is liable to the Plaintiffs for the amount he gained through his appropriation of the “Jack the Rapper” alias. For these reasons, the Court GRANTS in part and DENIES in part the Plaintiffs’ Motion for Summary Judgment in this trademark infringement case against the Defendant Billy Darren Foster [Doc. 38]. The Court ORDERS that the Defendant Billy Darren Foster: (1) discontinue further use and attempts to cause further use of the “Jack the Rapper” mark in connection with conventions catering to the radio and music industries, as well as associated services and merchandise; and (2) withdraw the application filed with the United States Patent and Trademark Office to register the mark “The New Jack the Rapper Convention,” U.S. Trademark Application Serial No. 85,787,701 (filed Nov. 27, 2012). SO ORDERED, this 2 day of December, 2013. Below is Judge Pannell's Order on Motion for Summary Judgment in HEALTHIER CHOICE FLOORING, LLC v. CCA GLOBAL PARTNERS, INC., Northern District of Georgia, Case No. 1:11-CV-2504-CAP. The seven likelihood of confusion factors are analyzed. There is also a rare discussion of trademark dilution under Georgia state law (O.C.G.A. § 10-1-451(b)). Finally, according to David Lilenfeld, the trade dress discussion is instructive. (“HCF”) motion to exclude expert testimony of Donald A. Irwin [Doc. defendants’ motion to exclude the expert testimony of Michael Norton [Doc. VI, VIII, and IX are DISMISSED WITH PREJUDICE. retail floor covering stores that are members of CCA’s ownership cooperative. carpet cushion used and the process to install it. • Count X: Attorney’s fees and expenses of litigation. Office under 15 U.S.C. § 1120.
evidence or to determine a fact in issue. City of Tuscaloosa v. Harcross Chems., Inc., 158 F.3d 548, 562 (11th Cir. concepts that courts and litigants must take care not to conflate.” Quiet Tech. preponderance of the evidence that each of the elements has been satisfied. Rink, 400 F.3d at 1292.
meet their burden with respect to the requirements set forth above. qualifications.” Leathers v. Pfizer, Inc., 233 F.R.D. 687, 692 (N.D. Ga. 2006). the admissibility of the witness’s testimony. Trilink Saw Chain, LLC v.
contends is not sufficient to satisfy the first requirement. 1 Polymers comprise a substantial portion of the carpet cushions at issue. perform the actual tests—Independent Textile Testing Service, Inc.
opinion in this case based on his background and experience. deciding how to determine the reliability of an expert. Id. examination of the carpet cushions. in favor of its reliability. purposes of the Federal Rule of Evidence 702 and Daubert analysis. that are literally false and/or misleading. of Irwin [Doc. No. 216] is DENIED. not use Norton as an expert for issues relating to antimicrobial testing. moisture resistance of the carpet cushions. Norton’s testimony to qualify as expert testimony is met. defendants’ advertising claims regarding moisture resistance. as expert testimony is met. person.” United States v. Frazier, 387 F.3d 1244, 1262 (11th Cir. 2004). requirement for Norton to testify as an expert witness is met. testimony of Norton [Doc. No. 281] is DENIED. them and as to all of the counterclaims. dispute as to any material fact exists. Adickes v. S.H. Kress & Co., 398 U.S.
party’s case.” Celotex Corp. v. Catrett, 477 U.S. 317, 325 (1986). most favorable to the party opposing the motion. Johnson, 74 F.3d at 1090. Electrical Indus. Co. v. Zenith Radio Corp., 475 U.S. 574, 586 (1986). ‘genuine issue for trial.’” Id. at 587 (citations omitted). mark Healthier Choice (“Healthier Choice® Mark”), U.S. Registration No. material facts support summary judgment on its affirmative claims [Doc. No. 278-1 at 2 n.1]. for at least five consecutive years and other conditions are met. 15 U.S.C. or intent to deceive the PTO. Id. USPTO or in a court and not finally disposed of. acknowledgement of a §15 affidavit or declaration.” Id. and counterclaim filed by the defendants on September 30, 2011 [Doc. No. 7]. Competition § 19.140 to support its argument. the TMEP implies a broader scope than HCF argues the court should adopt. mark. Sunrise Jewelry Mfg. Corp. v. Fred S.A., 175 F.3d 1322, 1324 (Fed. rights” is not limited to counterclaims for cancellation. declaration of no liability for infringement. Once again, the court disagrees. counterclaim challenging HCF’s rights in its mark. predicates for such an award. claim. Plt.’s Mem. of Law in Supp. of Mot. for Partial Summ. J. at 18 [Doc. unjustly enriched, or (3) an accounting is necessary to deter future conduct. Howard Johnson Co., Inc. v. Khimani, 892 F.2d 1512, 1521 (11th Cir. 1990). higher level of culpability. Burger King, 855 F.2d at 781.
it had knowledge of the “Spill Bloc” and “BioShield” marks. whether HCF acted in a manner consistent with the defendant in Optimum. Thus, the court denies HCF’s request for summary judgment on this issue. summary judgment [Doc. No. 278]. or counterclaim rather than adjudicating the motions separately. defendant’s use of the contested mark is likely to cause confusion.” Dieter v.
B & H Industries of Southwest Florida, Inc., 880 F.2d 322, 326 (11th Cir. mark in commerce without authorization. Optimum Technologies, Inc. v.
prevail on its trademark infringement claim. requirements for a declaration of incontestability at the time of its filing. mark is not entitled to incontestable status. mark used by HCF in the sale and marketing of carpet cushions. 5 The defendants cite ConAgra, Inc. v. George A. Hormel & Co., 784 F. Supp. that the phrase is descriptive rather than suggestive. plaintiff’s established mark; and (7) actual confusion. CC, 1997 WL 33107251, at *14 (N.D. Ga. Nov. 12, 1997) (citations omitted). Group, Inc., 192 F.3d 1330, 1335 (11th Cir. 1999); see also Jellibeans, Inc. v.
protection it is accorded from confusingly similar marks.”). and promotion done under the mark. Gold Kist, Inc. v. ConAgra, Inc., 708 F.
as to the source of the product that each mark represents. confusion is less than in the case of dissimilar products.” SunAmerica Corp.
v. Sun Life Assurance Co. of Canada, 890 F. Supp. 1559, 1575 (N.D. Ga.
America and Sun Life of Canada were closely similar). *8 (N.G. Ga. Sept. 7, 2007) (citing Frehling, 192 F.3d at 1338). because CCA does not sell carpet cushion, carpet, or installation services. defendants’ motions for summary judgment. non-movant, for purposes of the defendants’ motions for summary judgment. newspapers or magazines which are used.” Gold Kist, 708 F. Supp. at 1301.
defendants for purposes of the defendants’ motions for summary judgment. The final factor the court considers is the existence of actual confusion. of person confused.” Id. at 1341.
confused regarding the Healthier Choice® mark and the defendants’ mark. trial. See Jones v. UPS Ground Freight, 683 F.3d 1283, 1293–94 (11th Cir. CCA has used the mark in commerce. prevent others from accurately describing a characteristic of their goods.” Id. make any sales from its website. good faith as it relied on for the bad faith portion of the confusion analysis. counterclaim for a declaratory judgment of non-infringement. HCF has dismissed its federal dilution claim under the Lanham Act. goods or services, . . .
secondary meaning.” Id. (citing omitted). complete bar to state law causes of action brought with respect to that mark. law dilution claim with respect to the Healthier Living® mark. that a reasonable trier of fact could not find in favor of HCF on this claim. 369 F.3d 1197, 1202 (11th Cir. 2004) (quoting Publications Int’l, Ltd. v.
disadvantage.”’” Id. (quoting TrafFix, 532 U.S. at 32). these features qualify as functional under the competitive necessity test. put competitors at a significant non-reputation-related disadvantage. linear display, and use squiggly lines in a display. summary judgment on HCF’s claim for trade dress infringement. advertisement cites consumer testing to support a claim. Osmose, Inc. v.
trier of fact could find for HCF on this claim for false advertising. the court to reverse its earlier decision. summary judgment with respect to this issue. allege an injury to a commercial interest in reputation or sales.” Id. at *9.
deception of consumers causes them to withhold trade from the plaintiff.” Id. pursuant to 15 U.S.C. § 1125(a). the reasons discussed in Section III.B.1. precludes HCF from contesting this issue. Go Medical Industries Pty, Ltd. v.
request for summary judgment on this issue. PART and DENIES IN PART CCA’s motion for summary judgment [Doc. seeking attorney’s fees and expenses as a form of relief. • The defendants’ counterclaim for a declaratory judgment of noninfringement. • The defendants’ counterclaim for a declaratory judgment of no dilution. • The defendants’ counterclaim for federal trademark infringement. • The defendants’ counterclaim for common law trademark infringement. • The defendants’ counterclaim for fraud on the PTO. days of the date of this order. SO ORDERED this 31st day of March, 2014. Why do we recommend a trademark clearance search? I hear that question fairly often. As trademark attorneys, we are asked that question often. Here is our answer, at least a summary of our answer. The United States trademark laws are based upon the “first to use” – in other words, whoever uses the trademark first for particular goods or services, generally speaking, has the best rights to that trademark for those goods or services. You don’t want to knowingly (this includes the “should have known” standard) infringe on someone’s trademark. This can result in possibly having to pay damages such as: (1) disgorgement of profits; (2) damages caused by the infringement, which can be trebled; (3) costs of bringing the lawsuit; (4) attorney’s fees; and (5) destruction of inventory. A trademark owner can use your failure to search as a willful attempt to “blind yourself” to readily available information. Searching prior to applying for registration may help you identify potential obstacles to registration, such as those encountered by a similar trademark. You can even see how the applicant responded to the Office Actions under the TSDR tab on the USPTO website. A report also shows the types of trademarks which tend to be accepted or rejected by the USPTO and design your trademarks accordingly, thereby optimizing your chances of approval. While a trademark search report costs a few hundred dollars, it is obviously preferable to spend a small amount of money up front rather than a lot of money later in litigation. When we experience bad service or a bad product, an immediate reaction is often to leave a negative review for the business online. In a fury, a review can exaggerate what happened, and certainly only show one side’s perspective. Such reviews can proliferate online and be very impactful. Some companies have responded by threatening lawsuits for defamatory reviews – that is, for reviews that are not entirely truthful. What is even more concerning is that not long ago, a court in the Commonwealth of Virginia ordered Yelp to turn over the names of seven of its users who left negative reviews for a carpet cleaning company. Historically, people felt comfortable speaking critically online because their identities were hidden behind screen or user names. But this ruling can change that. The best way to protect yourself is to act in good faith and not exaggerate in your review. Truth is always the best defense against a defamation claim. Kit Kat, the iconic chocolate-covered wafer candy, was first produced in Great Britain in 1935. 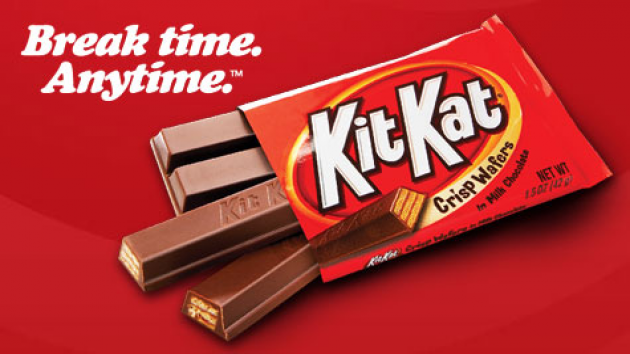 Nestlé understandably wanted to register the Kit Kat’s four-finger shape as a trademark, filing an application there in 2010. In arguing for registration of the trademark, Nestlé’s relied heavily on a survey its experts conducted. In administering the survey, Nestlé presented a photograph of the four-finger shape to consumers and asked them – to describe what they saw. According to Nestlé, more than 90% of those surveyed made a reference to the Kit Kat bar, upon viewing the four-finger shape. However, the British courts were not enticed and cooked up another bad break for Nestlé. The European Court of Justice Court refused to acknowledge the four-finger anatomy of the Kit Kat bar as a protectable trademark. The rejected trademark, described in the case as the “shape of a four finger chocolate-coated wafer," likely leaves wide-open the market for other four finger chocolate covered candies, undoubtedly leaving a bad taste in Nestlé’s mouth. First up to explore that wide-open market could be Nestlé’s rival, Cadbury, who led the charge to ensure the high court rejected Nestlé’s four-finger trademark application. By the way, David Lilenfeld's research into this story revealed the Kit Kat is made by a division of Hershey, under a license from Nestlé and taste great. Question 1. Whether, even if the Board exceeds its statutory authority in initiating an IPR proceeding, the Board's decision whether to institute an IPR proceeding is judicially unreviewable. Question 2. Whether in IPR proceedings, the Board may construe claims in an issued patent according to their broadest reasonable interpretation rather than their plain and ordinary meaning. "This one will be fun to watch," said David Lilenfeld, founder of Lilenfeld PC.